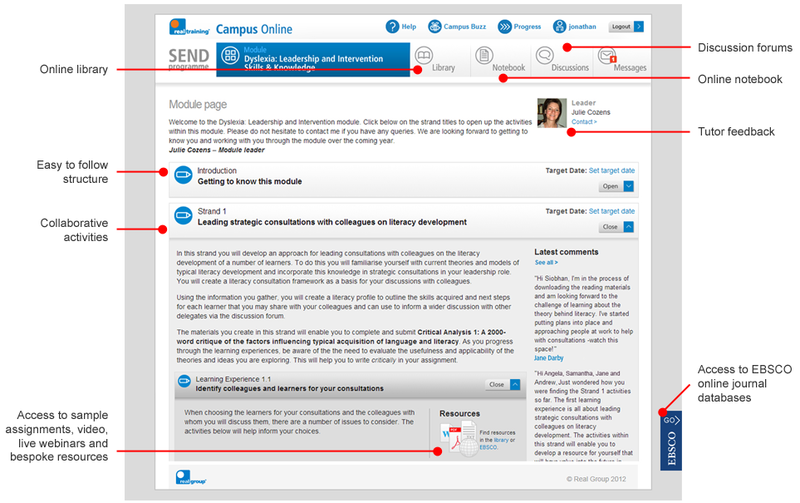 Campus Online, Real Training’s very own virtual learning environment, has many features specifically designed to make the experience of learning rewarding and collaborative. Work anywhere you have an Internet connection, anytime you want. On the SEND Programme you will experience the very best online learning has to offer.